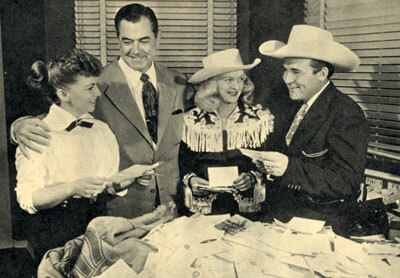 Johnny Mack Brown, Reno Browne and Whip Wilson stand with Rae Lynn as they judge the winners of the MOVIE THRILLS magazine Whip Wilson “Name the Horse” contest in November 1950. 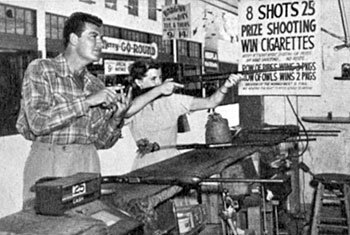 The name Rocket was the winner. 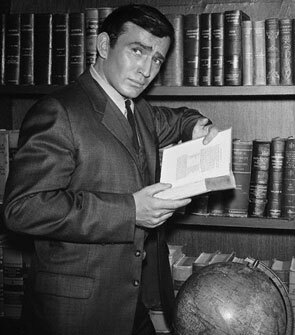 James Drury with a copy of the book that made he and his TV series famous, THE VIRGINIAN by Owen Wister. 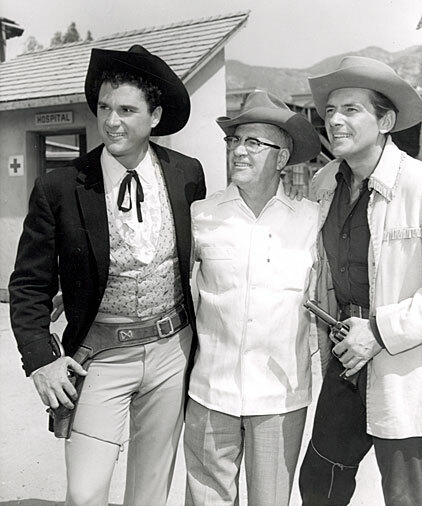 Robert Colbert and Jack Kelly who starred on Warner Bros.’ “Maverick” pose with Colbert’s father when he visited the Warner Bros. backlot. 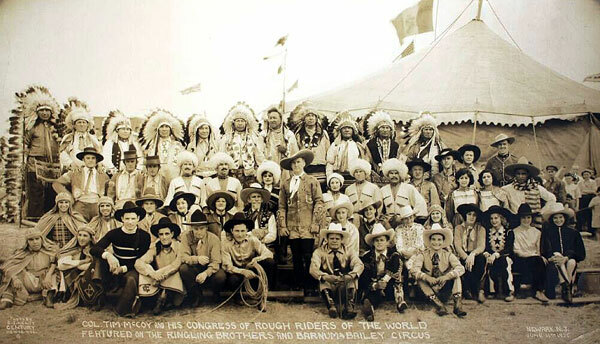 Tim McCoy with his Congress of Rough Riders of the World featured with Ringling Brothers and Barnum and Bailey Circus. 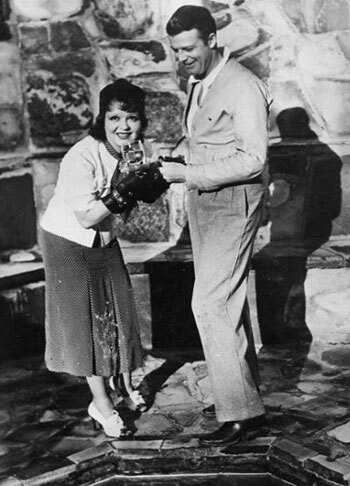 Rex Bell and wife Clara Bow. 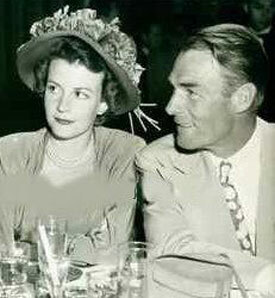 Randolph Scott with his wife Patricia Stillman. 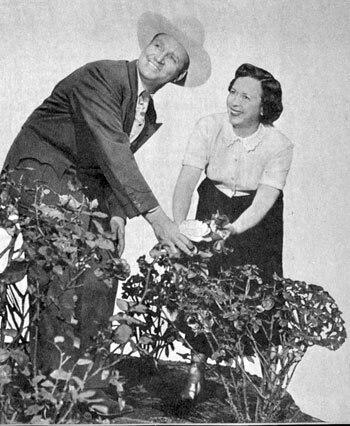 They were married March 3, 1944. 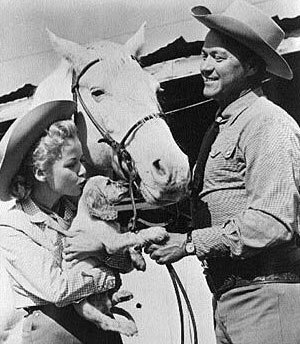 Gloria (Penny) Winters introduces her puppy to Kirby (Sky King) Grant and his horse. 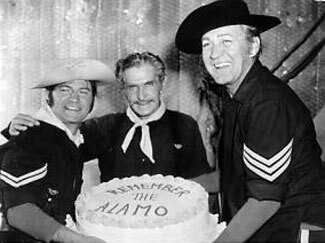 Football star and 20th Century Fox Western star of “Sundown Jim” and “Lone Star Ranger” John Kimbrough (left) was a member of the Texas Aggies. 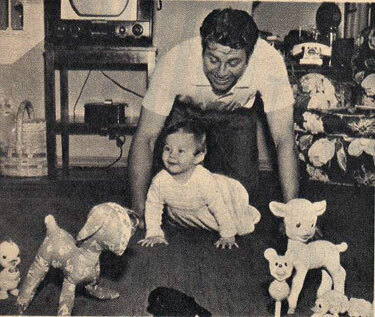 Jim Davis in 1953 plays with his daughter Tara Diane. 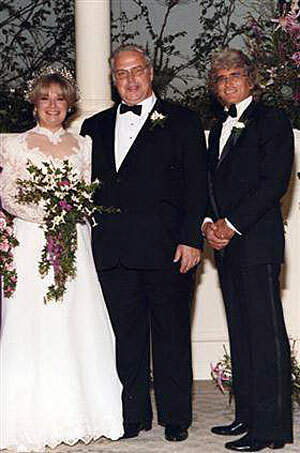 His daughter died tragically in a car crash at 17 in 1970. 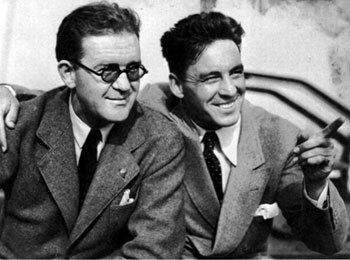 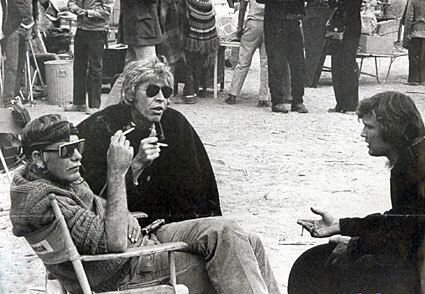 Good friends...director John Ford and actor George O’Brien. 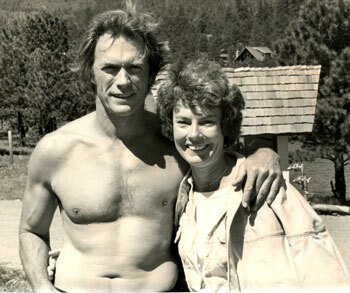 “How do you like this physique?” Dave O’Brien seems to be asking. 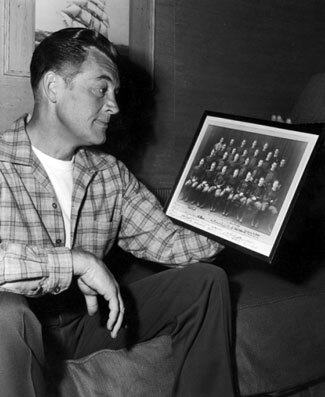 Charles Starrett reminisces about his college days at Dartmouth. 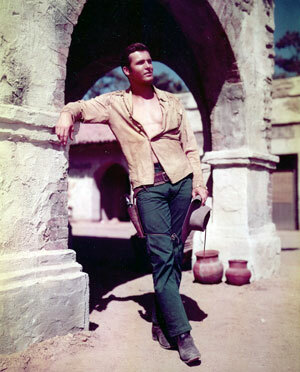 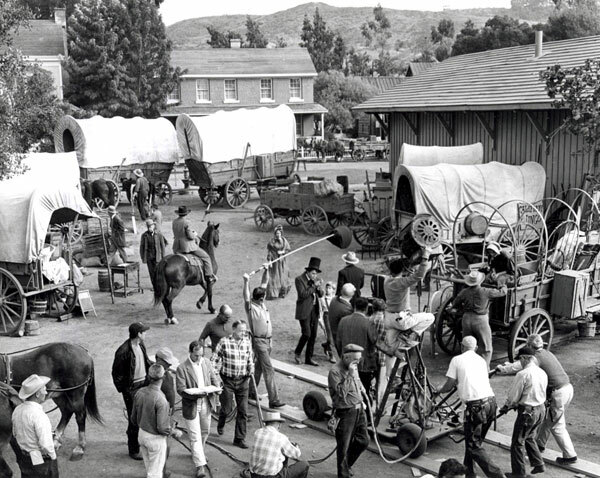 Ty (“Bronco”) Hardin relaxes between scenes on the Warner Bros. lot. 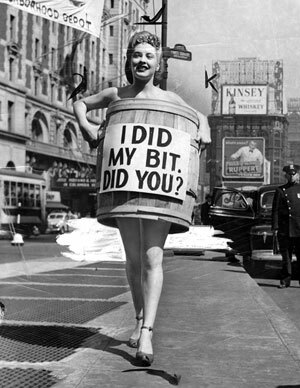 “Any Which Way You Can”. 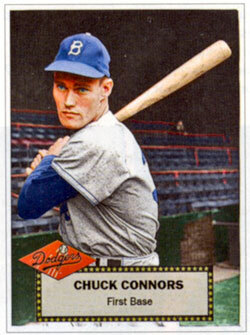 Baseball trading card for Chuck Connors when he was with the Brooklyn Dodgers. 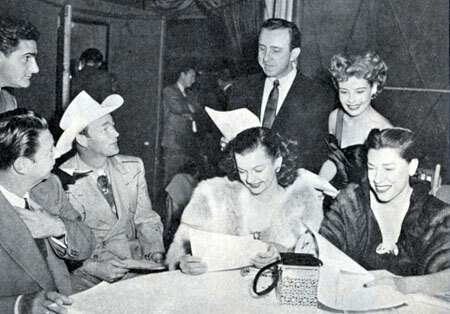 Donating their time to the National Safety Council at L.A.’s Ambassador Hotel in early 1951 are (L-R) NBC’s Warren Lewis (standing), Harry Von Zell, Roy Rogers, Dale Evans, Frank De Vol, Gloria De Haven and Judy Canova. 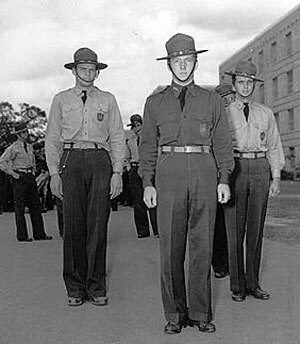 “U. 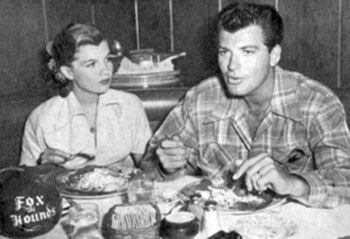 S. Marshal” John Bromfield and his wife at the time Corinne Calvet stop for lunch at the popular Fox and Hounds restaurant.